One of the most common questions I'm asked all of the time is, "Do Metal Detectors Detect Gold"? The answer, is YES! However, not all metal detectors are created equal, and some are going to do a lot better job at finding gold than others. If you are new to metal detecting or what to know if it's even possible to find good things like gold nuggets or gold jewelry, the most important thing to know is there are different types of detectors with different purposes. Metal detectors typically sense the electrical magnetic field of an item underground. However, it' important to understand that a metal detectors is not simply a "glorified magnet", because the most valuable precious metals are not magnetic. Do Metal Detectors Really Detect Gold? All metal detectors are technically capable of detecting gold. How well it detects the gold is another story. A lot of it matters on how deep the gold is buried in the ground. Most low-end and entry level detectors are not going to detect gold that is more than a few inches below the surface, and it may be difficult to discriminate between signals of gold and junk metals. The best types of metal detectors for finding gold are the ones with pulse induction technology. This uses a specific type of current to make it easier to detect gold in different areas where you are metal detecting. Gold is an excellent electrical conduit, and this is why it is used so frequently in the manufacturing of electronics and computers. However, gold does not typically register as you would think when you go over it with your detector. Often times, it gives a very faint tone - and more often than not you would likely just pass it over if you are trying to avoid digging up aluminum pop can tabs or other junk targets. Sad to say, there are very rarely huge bells and whistles and lights flashing when you discover gold. Most of the time when you find gold while metal detecting, you'll be wondering if it's just an aluminum can tab and whether it's even worth digging. Gold jewelry near the surface can be found with even the most basic of metal detectors - but it is highly dependent on the skill and experience of the person using the metal detector! Gold nuggets are usually a little more difficult to uncover because they are generally a lot deeper. If you've ever watched those gold mining TV shows you might recall them saying something like "hitting bedrock". If you are hoping to find gold nuggets, it's important to make sure you have a detector that is capable of sensing gold at certain depths. 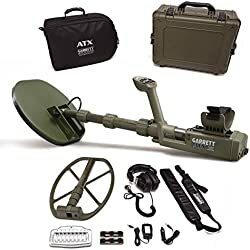 If you plan on metal detecting on saltwater beaches in the water, it is VERY important that you get a metal detector that is specifically meant for saltwater beach use. This is because these environments are a bit different in how the metal detector will react in salt water. If you plan on staying in the dry sand, you most likely don't need to upgrade anytime soon, but if you have your sights set on the shoreline, you may want to consider upgrading sooner than later! Want to Find Gold? Get the Right Metal Detector! If you want to find gold by metal detecting, there are many great gold finding metal detectors to choose from. These detectors are a bit more money to begin with upfront, but if you are serious about detecting, you will likely find all of these are great options to get started in recovering more gold. 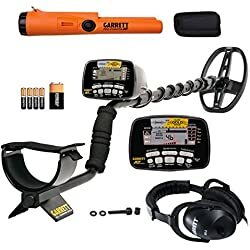 The Garrett AT Gold Waterproof Metal Detector is one of the most affordable entry points to get a decent metal detector that will make it a bit easier to uncover gold and a lot of different things. This metal detector is not specifically formulated for salt water finding, but this is a great all-purpose metal detector that is sure to help you uncover different relics, coins, and jewelry rather easily. If you already have a decent metal detector, this one is likely not going to give you a lot more of an advantage - but this is a far cry better than the $125 cheap models you might find. Tesoro has been making high quality metal detectors for years, and the Tesoro Lobo is no exception. 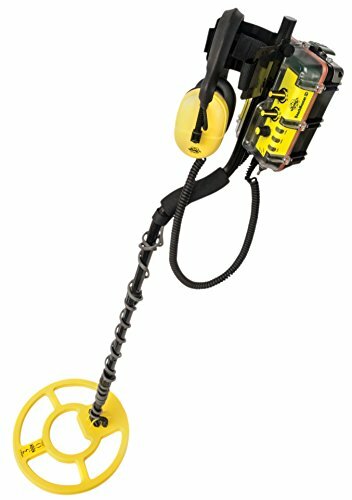 As an entry-level gold prospecting detector, this metal detector is capable of discovering deep targets that other machines may not find. 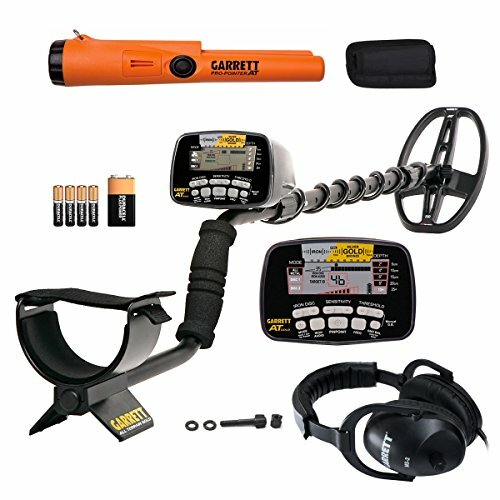 If you plan on metal detecting for gold underwater and in both saltwater and freshwater, the Whites Beach Hunter 300 is a good mid-level option to consider. 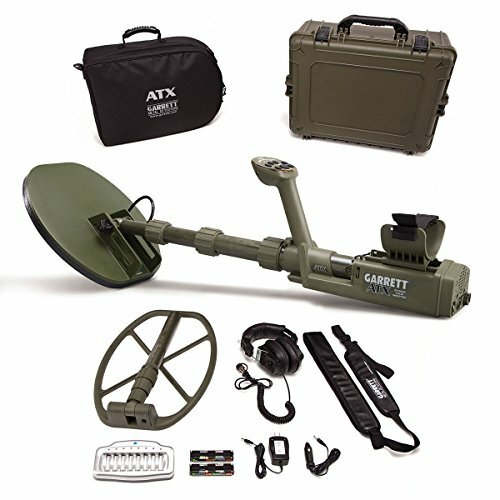 The Garrett ATX Deep Seeker is a heavy but very powerful machine that makes it easy for you to discover targets in a number of different environments. 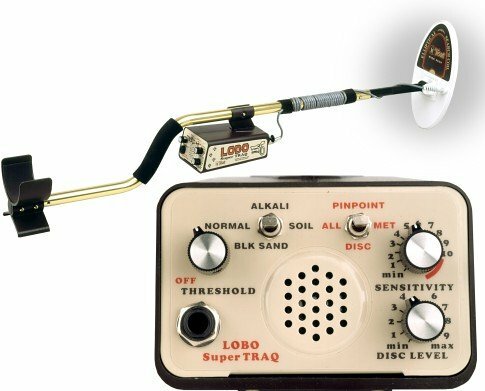 With advanced ground balance and advanced pulse induction technology, you will be able to use this detector in so many ways to find gold. Maximum Detection on all targets at the same time. No need to switch modes to enhance detection of one target while degrading another. Ground Track with 4 settings: Choose setting that best handles rapidly changing ground mineralization. LED Indicators: show signal strength and current settings. Waterproof Speaker: built in for option to search without headphones. 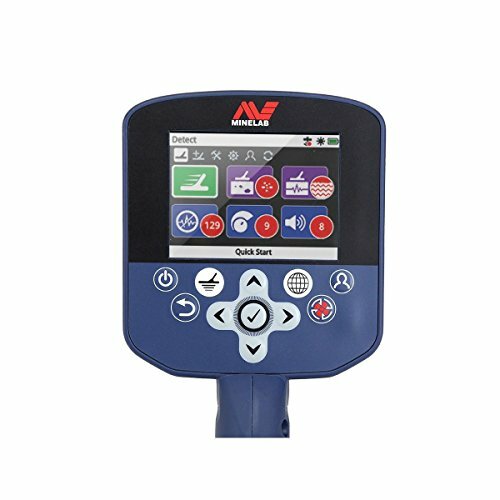 Frequency Scan: auto function for minimizing RFI interference. Volume Control: adjust to limit the response of large signals in order to better hear deep/faint signals. 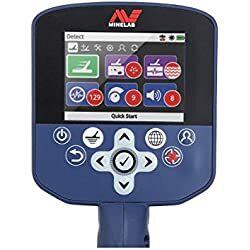 If you are looking for something serious, lightweight, and portable - the Minelab SDC 2300 All Terrain Gold Detector will not disappoint. 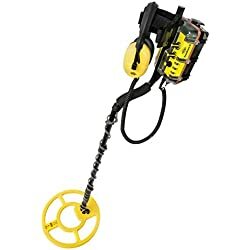 This metal detector can be submersed in water up to depths of 10 feet and is very good at detecting gold at many varying depths depending of course on side of the target. If you are a serious detector and ready to advance to a powerful machine, this is a solid option to consider. The Minelab GPZ Metal Detector is one of the top of the line gold prospecting detectors. This is for serious metal detecting. You will likely even be able to discover gold underneath rocks. Boasting 40% deeper target sensing, this is a professional grade metal detector for the serious hobbyist or professional. Your Success in Finding Gold Greatly Depends on You! While new technology makes it easier than ever for the beginner metal detectorist to find gold and other valuable finds, the best thing you can do is of course learn how to use your machine and become comfortable with all of the settings. The most powerful metal detector in the world is still always going to be limited by the user operating the equipment! There are many things you can do to increase your knowledge and experience in working with your metal detector. 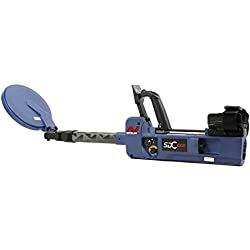 Having some practice in your own yard with a seeded coin garden is often all that is truly necessary to be able to uncover good targets with any decent all purpose metal detector. Putting a gold ring at a few different depths in a test garden will allow you to see what the machine sounds like and what kind of readings will appear on the screen. This makes it much easier for you to discriminate between gold and junk targets when out in the field or on the beach. Having the proper metal detecting digging tools also makes a big difference - if you are digging up different targets, it is very helpful to be able to quickly find them! Where you metal detect is also important when prospecting for gold. If there is no gold at the location where you are metal detecting, I assure you you will not find any! There must be gold in order for the detector to detect it! Sure, this sounds like common sense, but so many new detectorists think they are going to find gold everywhere. Yes, there are many places where gold is more likely to be found, however there is never any guarantee that there will actually be any present. Need ideas for where to metal detect? See our post on 42 Places to Metal Detect for some ideas and inspiration! Still, it is all the fun of the hunt that makes this an exciting hobby and sport! You never know what you might find, and many of us would argue that's the best part! Have you had any luck finding gold in your metal detecting adventures? Do you own any of the machines which we've reviewed here to metal detect for gold? 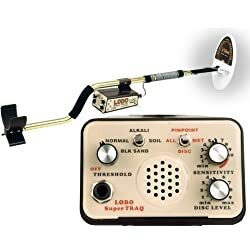 Is there a good gold prospecting metal detector you think we should check out? Share your thoughts and experiences in the comments section below!